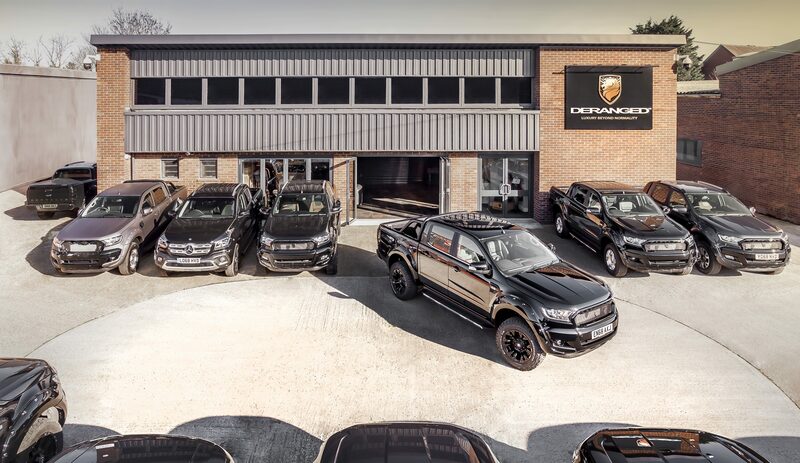 Deranged is the UK’s leading creator of bespoke pickup trucks, vans and 4x4s. Deranged take an OEM vehicle and add upgrades to improve the aesthetics and performance. Although we respect the manufactures design of the vehicles, the factory options are very limited. We understand that commercial vehicles are being used for much more than a workhorse and a high level of quality is essential. We also know that every customer is different, therefore we feel it is essential to give the customer the opportunity to tailor build their vehicle to their own taste. Deranged is a brand that was created in 2012 by the company, Bespoke Autostyling Ltd. Founded in 2010 by two car enthusiasts, Bespoke Autostyling started in the motor industry as a prestige car customisation body shop. Bespoke Autostyling soon went on to being one of the UKs most respected installers for the biggest tuning brands across the globe. From carrying out this roll, we quickly realised the gap in the market for a superior quality products and reliable service. In 2012 we made the decision to create a brand, offering quality products to match the service we provided. Since 2012 the brand has evolved in to the commercial and 4×4 sector working closely with Mercedes, Nissan, Ford and Jeep. In 2016 the partnership with Vanarama was born, allowing us to offer our premium product though the leasing route. Since 2016 Deranged has built over 1000 vehicles supplied to customers across the UK and Europe. People often ask, why ‘luxury beyond normality’ – we say, the level of luxury we add to these commercial vehicles is far beyond what is normal. For example, take Bentley or Rolls Royce leather and carefully craft it in to a Ford Ranger, that’s luxury beyond normality!